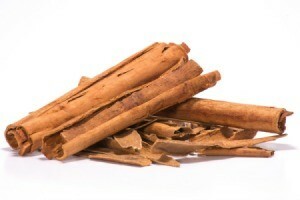 If you have some cinnamon chips on hand consider substituting them for chocolate chips or even nuts in a recipe. The different flavor is a nice treat. This is a guide about using cinnamon chips in baking. This is actually a baking tip. I bake to relax so sometimes I don't have all the correct ingredients on hand when I decide to relax (bake). I needed a cup of chopped nuts and didn't have them and was almost finished with a recipe, so I added a cup of cinnamon chips I had on hand. I now put cinnamon chips in most of my recipes instead of walnuts or pecans. Not only does it taste better it is more cost efficient. Source: Just my idea to finish a recipe that called for nuts. what is a cinnamon chip??? What a great idea! I forgot they even made cinnamon chips. I found a bunch of cinnamon chip recipes at the Hershey's site. Now I just have to see if my grocery store stocks them. I have never really checked to see before. What are Cinnamon Chips? I want to try this. Do you get them in the baking aisle, or the spice aisle? Please advise!